Shhhh it's a surprise! One of our beloved long time co-workers ("J") has resigned and leaving at the end of the month, so naturally we are throwing a surprise farewell party. For my gift, I am working on a painting... of course! 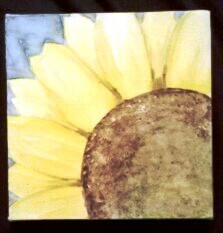 "J" professed her liking of one of my earlier paintings of a sunflower, so I am creating a mini-canvas (6x6) watercolor just for her. I sure hope she likes it! 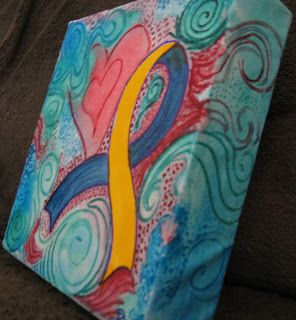 I just wish that I could write with a paintbrush, so I could paint a special message onto the canvas for her (sigh). I've got to teach myself how to write pretty with a brush! I am so jazzed! I have been asked to participate in an auction to raise money for Gifts of the Heart for Downs. 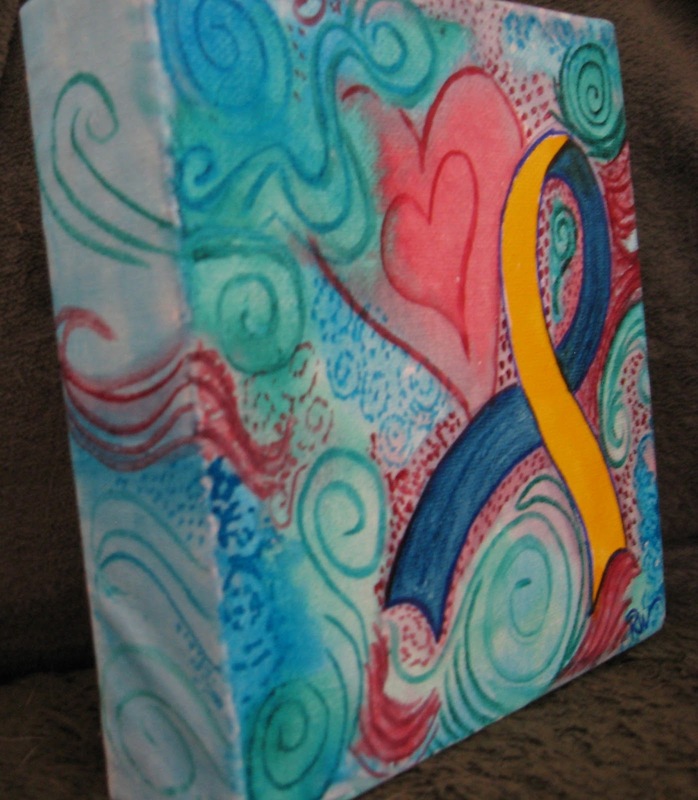 I am donating my Down Syndrome Awareness/Support painting to help raise money to make wishes come true for children and adults with Down Syndrome. I can't explain how happy this makes me! 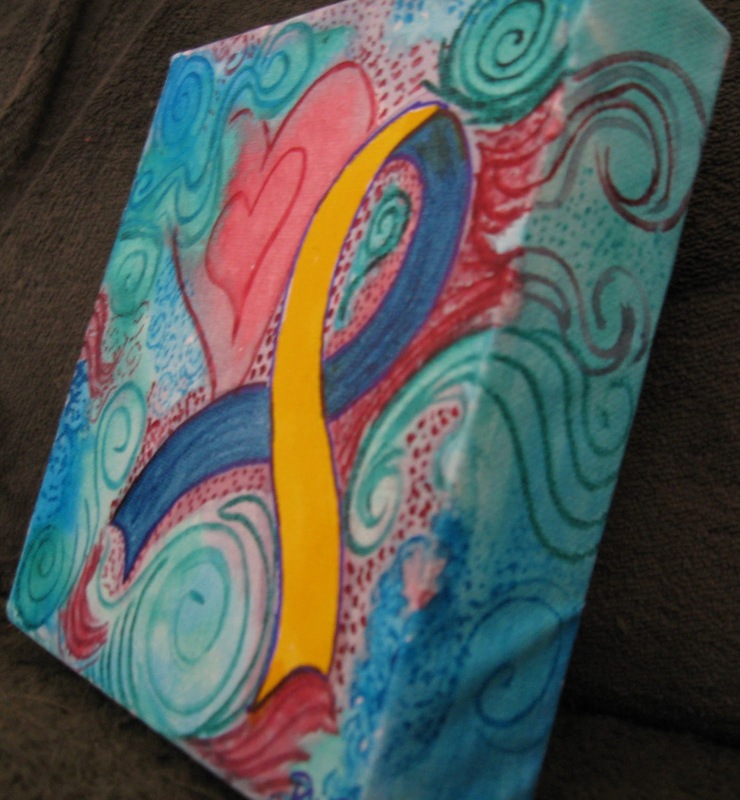 Come visit my etsy shop for more paintings, at Keltik's Kreations!